« Official Launch of Vancouver Buzz! Welcome! Complete Brighton Townhome floor plan layouts, dimensions of rooms within the floor plans, interior color scheme selections, exterior finishing details and color schemes and upgrade finishing selections. In addition, these details about the new Maple Ridge Brighton Townhomes at Silver Ridge community also includes: master site plan of available home locations, completion dates of available townhomes, and the disclosure statement for all registrants who proceed with their new purchase. Prior to Saturday, February 13th, I’ll be sending you an additional email which will provide you with the specific presale Maple Ridge townhome prices for the initial release of Brighton Silver Ridge townhomes to be offered for sale. For more information about the new Brighton at Silver Ridge townhomes in Maple Ridge real estate market, please visit our previous blog here. We’re now excited to provide you with the specific prices for the initial release of pre-construction Maple Ridge townhomes to be offered for sale at the Brighton at Silver Ridge real estate development by Portrait Homes. Please note that the following prices are subject to change and exclude all taxes. Brighton Townhomes #1 and #7 at Silver Ridge Maple Ridge is the B floorplan and are featured at $319,900 while townhouse 2 is B1 plan at $314,900. The A floorplan, Townhome #3 at Brighton at Silver Ridge is priced at $359,900 while townhouse #58 (B6 plan) is priced at $329,900. Another B6 Maple Ridge townhome for sale at Silver Ridge Brighton community by Portrait Homes is priced at $327,900 for unit #62. Right beside it is Unit #61 which is a B3 floorplan that is priced at $324,900. The remaining released Silver Ridge Brighton Maple Ridge prices include C1 Plan, Unit 60 at an incredible price point of only $296,900 while #59 townhome is a B3 floor plan at $326,900. Therefore, the first release of pre-construction Maple Ridge Brighton Townhomes at Silver Ridge by Portrait Homes ranges in price from about $297k to $360k plus taxes, an incredible pricing for new homes in this area. Please note that these Brighton townhome prices are of course subject to availability and subject to change by the Builder without notice. E.&O.E. effective February 13th, 2010. 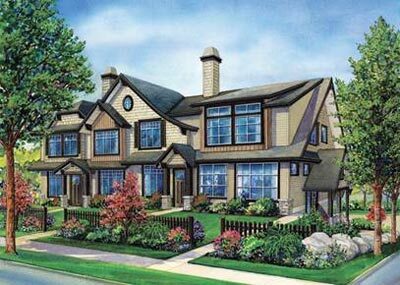 Also, starting on Saturday, February 13th, 2010, we’ll be offering by-appointment viewings of our Brighton townhomes at Silver Ridge information center, which is located at 23185 Gilbert Drive, Maple Ridge, BC. You may recognize that address as being our previous sales center for our single family homes at Stoneleigh Maple Ridge real estate development. We’ve since taken over that space, as it presents a perfect venue to provide our many registrants for Brighton at Silver Ridge townhomes for sale with the opportunity to view first-hand the many exciting details for our Brighton Maple Ridge townhouse development. When meeting with me at the Brighton Townhouse information center, should you wish to be one of the lucky few that take advantage of these fantastic pre-display Maple Ridge home pricing levels, you will also receive a special ‘unadvertised’ homebuyer incentive. This, in addition to the standard included items in your buying package, will be sure to please you and reinforce that you’ve made the right decision to be amongst the first to buy a new Brighton townhome in the award-winning community of Silver Ridge Maple Ridge real estate market place. On behalf of Portrait Homes, I’d like to express my thanks to many of you for showing so much continued interest in the new Brighton Silver Ridge townhome community, and I look forward to finally having the chance to meet with you personally at our new information center. Please remember, these meetings at our information center will be on a by-appointment basis, so if you would like to get together at that time to review all of the details on Brighton Maple Ridge townhomes in Silver ridge community, please contact me at the Portrait Homes head office 604-270-1889, or directly on my cell line at 604-727-4395, to set an appointment time together for the weekend of February 13th / 14th. In the meantime, should you have any further questions about Brighton at Silver Ridge townhomes for sale, please feel free to respond via email to me directly, at troys@portraithomes.ca. Thank you again for your interest in the Brighton Maple Ridge townhouse community and I look forward to meeting with you! Portrait Homes Ltd. www.brightonliving.ca. This is currently not an offering for sale. In the continuing effort to meet the challenge of product improvement, we reserve the right to modify or change Brighton at Silver Ridge Maple Ridge townhome plans, site plans, specifications or prices without notice. Renderings of these Silver Ridge Brighton townhouses are an artist’s conception only and are intended as general reference only. All dimensions and sizes are approximate. E.&O.E. Brighton at Silver Ridge Information Centre Now Open! Join us at the pre-grand opening event on now here at the Maple Ridge Brighton at Silver Ridge homes for sale! Brighton at Silver Ridge, proudly built by Portrait Homes and located within the award winning community of Silver Ridge in the Maple Ridge real estate market place, offers a wide range of both two and three bedroom presale townhome designs with sizes ranging from 1223 sqft to over 1600 sqft in size. The Pre-Grand Opening Event for the presale Brighton at Silver Ridge Maple Ridge homes for sale is on now, offering you the benefits of a wide range of new townhome designs combined with pre-display pricing and special unadvertised home buyer incentives. For more information about the Maple Ridge Brighton Townhomes at Silver Ridge community by Portrait Homes, or to schedule a preview appointment, please contact Troy, sales manager at Portrait Homes at 604.270.1889 or 604.727.4395. You can also pre-register online at brightonliving.ca at any time. The Brighton at Silver Ridge Information Centre is now open at 23185 Gilbert Drive, Maple Ridge, BC and they are open Monday, Fridays and Saturdays from noon to five. Another quality Maple Ridge real estate development built by Portrait Homes.